Photos now available from 10k Thursday 11 April as well as events from Saturday 6 April and Steeplechase 6 April. The Special TFNL covering the World Indoors is now available. Congratulations to all the MAWA athletes for great performances at the World Indoors. The MAWA results can be found under the Track and Field Results Tab. Our athletes set 18 State and 8 Australian Records. 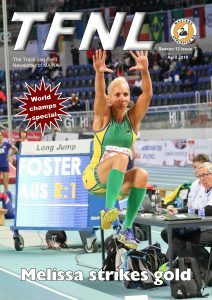 The pending Australian records went to Melissa Foster (2), Andrew Brooker (5) and Sharon Davis. 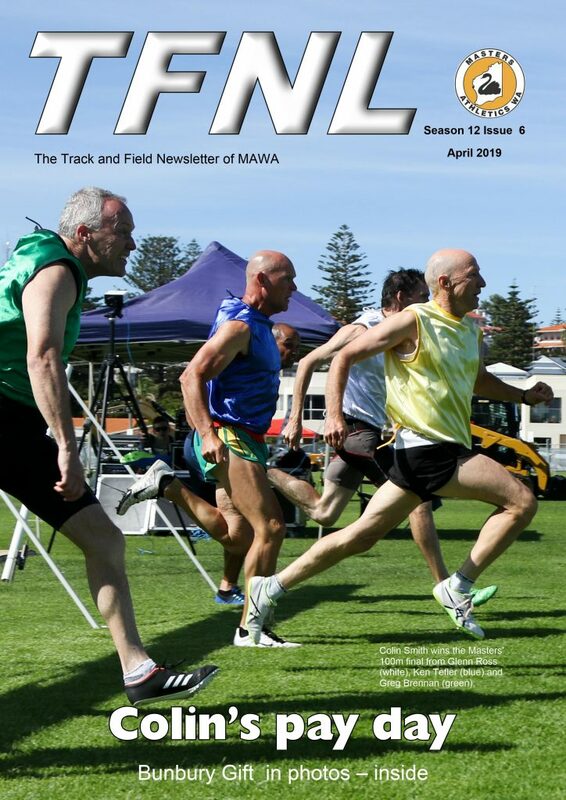 The April TFNL is now available. Go to the Magazines Tab. Due to fading light this time of year the order of the throws will be changed from the programme. The first throw at 6pm will be the weight throw. The new vetrun is now available. Head to the Magazines Tab to download the high or low res version. We will not have time to officiate a longer run before the State Championships so the programme has been revised. However if athletes want to run an additional event themselves prior to 7pm, they may do so. This can now be found in the right sidebar. Note that there will be no April competition at WAAS. After Nationals there will be a 3 week break, with a restart on Thursday May 16th. Melbourne has announced that entries for the AMA Nationals 26-29 April have been extended to 26 March 2019!